What Is a Derivative, and How Do They Work? While it might now seem like it is fading in the background, as the world melted down during the 2007-2009 collapse, investors were asking all kinds of questions about derivatives namely, "What is a derivative?" and "How do derivatives work?" The term derivative is often defined as something — a security or a contract — that derives its value from its relationship with another asset or stream of cash flows. There are many types of derivatives and they can be good or bad, used for productive things or as speculative tools. Derivatives can help stabilize the economy or bring the economic system to its knees in a catastrophic implosion due to an inability to identify the real risks, properly protect against them, and anticipate so-called "daisy-chain" events. This is where interconnected corporations, institutions, and organizations find themselves instantaneously bankrupted as a result of a poorly written or structured derivative position with another firm that failed, or in other words, a domino effect. A major reason this danger is built into derivatives is because of something called counter-party risk. Most derivatives are based on the person or institution on the other side of the trade being able to live up to the deal that was struck. If society allows people to use borrowed money to enter into all sorts of complex derivative arrangements, we could find ourselves in a scenario where everybody carries these derivative positions on their books at large values only to find that, when it's all unraveled, there's very little money there because a single failure or two along the way wipes everybody out with it. The problem becomes exacerbated because many privately written derivative contracts have built-in collateral calls that require a counterparty to put up more cash or collateral at the very time they are likely to need all the money they can get, accelerating the risk of bankruptcy. It is for this reason that billionaire Charlie Munger, long a critic of derivatives, calls most derivative contracts "good until reached for" as the moment you actually need to grab the money, it could very well evaporate on you no matter what you're carrying it at on your balance sheet. Munger and his business partner Warren Buffett famously get around this by only allowing their holding company, Berkshire Hathaway, to write derivative contracts in which they hold the money and under no condition can they be forced to post more collateral along the way. What Are Some Common Types of Derivatives? Among the most popular and common types of derivatives you might encounter in the real world are as follows. Call options and put options, which can be used conservatively or as extraordinarily risky gambling mechanisms are an enormous market. Practically all major publicly traded corporations in the United States have listed call options and put options. The specific rules governing those in the United States are different from those governing these derivative contracts in Europe but they are a valuable tool depending on how you want to use them. For example, you can get other people to pay you to buy a stock you wanted to buy anyway. Warren Buffett used this strategy several decades ago when accumulating his enormous Coca-Cola stake. Exchange traded options are, from a system-wide standpoint, among the most stable because the derivative trader doesn't have to worry about so-called counterparty risk. While they can be extremely risky for the individual trader, from a system-wide stability standpoint, exchange-traded derivatives such as this are among the least worrisome because the buyer and seller of each option contract enter into a transaction with the options exchange, who becomes the counterparty. The options exchange guarantees the performance of each contract and charges fees for each transaction to build what amounts to a type of insurance pool to cover any failures that might arise. If the person on the other side of the trade gets in trouble due to a wipeout margin call, the other person won't even know about it. Granted as part of the compensation for working for a company, employee stock options are a type of derivative that allows the employee to buy the stock at a specified price before a certain deadline. The hope of the employee is that the stock increases in value substantially before the derivative expires so he or she can exercise the option and, commonly, sell the stock on the open market at a higher price, pocketing the difference as a bonus. More rarely, the employee may opt to come up with all of the exercise cost out of pocket and retain his or her ownership, accumulating a large stake in the employer. 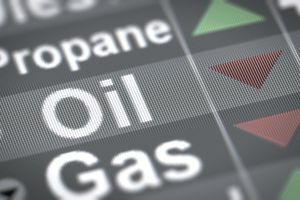 While futures contracts exist on all sorts of things, including stock market indices such as the S&P 500 or The Dow Jones Industrial Average, futures are predominately used in the commodities markets. Imagine you own a farm. You grow a lot of corn. You need to be able to estimate your total cost structure, profit, and risk. You can go to the futures market and sell a contract to deliver your corn, on a certain date and a pre-agreed upon price. The other party can buy that futures contract and, in many cases, require you to physically deliver the corn. For example, Kellogg's or General Mills, two of the world's largest cereal makers, might buy corn futures to guarantee they have sufficient upcoming raw corn to manufacturer cereal while simultaneously budgeting their expense levels so they can forecast earnings for management to make plans. Airlines often use futures to hedge their jet fuel costs. Mining companies can sell futures to provide greater cash flow stability by knowing ahead of time what they will get for their gold, silver, and copper. Ranchers can sell futures for their cattle. All of these derivative contracts keep the real economy going when prudently used as they permit the transfer of risk between willing parties to lead to greater efficiency and desirable outcomes relative to what a person or institution is willing and able to expose to a chance of loss or volatility. Companies, banks, financial institutions, and other organizations routinely enter into derivative contracts known as interest rate swaps or currency swaps. These are meant to reduce risk. They can effectively turn fixed-rate debt into floating rate debt or vice versa. They can reduce the chance of a major currency move making it much harder to pay off a debt in another country's currency. The effect of swaps can be considerable on the balance sheet and income results in any given period as they serve to offset and stabilize cash flows, assets, and liabilities (assuming they are properly structured). Here's a valuable rule of thumb: Avoid speculative derivatives, both directly in your own portfolio and on the balance sheets of the companies in which you invest. Some individuals and families who have a substantial net worth might intelligently deploy certain derivative strategies when working with a highly qualified registered investment advisor. It might be possible to lower taxes and hedge against market fluctuations when slowly disposing of a concentrated stock position acquire over a long life or service for a specific company or to generate additional income by writing covered call options or selling fully secured cash puts, both of which are far beyond the scope of what is discussed here. Bankruptcy or wiping decades of savings off their books is a reality for people who have bought call options in an attempt to get rich quickly. The same goes for investing in complex financial institutions or firms. If you can't understand the derivative exposures of a business after digging through its disclosure documents, you are probably better off avoiding it, though this is something that is always worth a discussion with your investment adviser, Together you can decide the best course of action after taking into account your unique needs, circumstances, and risk tolerance.